A traditional service with communion each week. A family friendly blend of the contemporary and traditional. Programs available for kids aged 0-16. A contemporary evening service with young adults in mind. Programs available for kids aged 0-12. I’m not a Christian - am I welcome? Absolutely! Our doors are open to everyone, as we believe that the good news of Jesus is for everyone. We would love to help you to explore this good news, and to put your faith in Jesus. Our church services are a great place for you to do this. Feel free to participate in as much or as little as you would like. When we celebrate communion there is no pressure to participate. Our services run for about 75 minutes. You are also welcome to join us for morning tea or supper after the service. Each week the order may change, but there are some common parts of all our church services. We pray, sing together and hear a part of the Bible read and explained (for about 30 minutes). Many people stay to chat over morning tea/supper. Some weeks we have communion as a way of remembering Jesus’ death and resurrection. No, you will not be asked to give any money. During the service offertory bags will be passed around for regular members to give. Please feel free to let this bag pass by. Most members give electronically. Absolutely. Church is for people of all ages and stages. Children of any age are welcome to stay with the adults during the service, but we also have fantastic kids programs. Kids Church takes place during our 10am and 5pm services. There is also a room in the main church building for carers and their infants. Please ask someone on the day to direct you. For more information visit our Children and Youth page. We strive to make church as accessible as possible to everyone- so let us know what we can do to make your experience easier! Just around to the left from our front doors you can find a ramp entrance, and our parking lot is adjacent to the church. If you need to lie down during the service we recommend bringing a cushion and heading to the front left pews. Our church has a hearing loop installed on the left hand side where the sound desk is- our friendly AV team can help you with any questions. An accessible bathroom can be found in the main church building through the door to the left of the pulpit. If you prefer not to read off projector screens, all services have paper copies of the lyrics and set prayers available. Please ask the welcome team for a copy. If you have any other questions/concerns please let us know and we’ll do our best to make things easy for you! 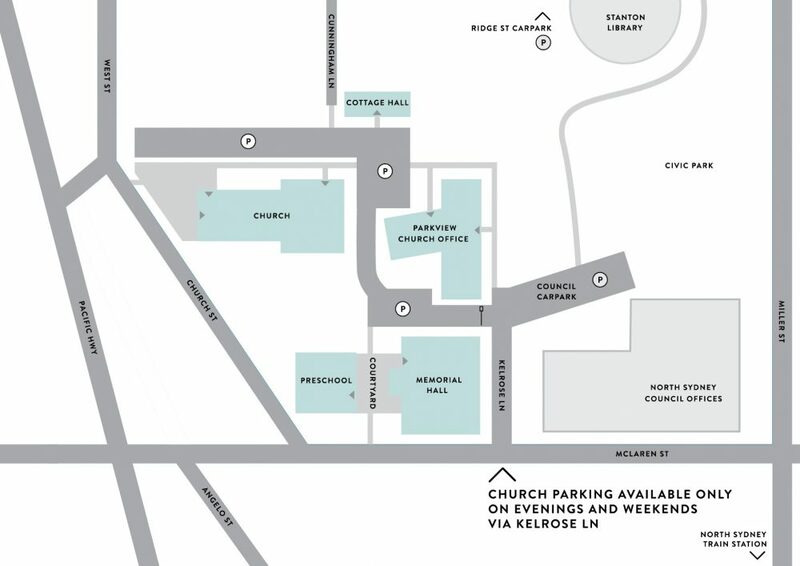 Accessible car spots are available on the church grounds. For more accessibility information please see the table above.